5G and edge computing will remain the most-hyped markets for 2019 as the wireless infrastructure gets built out and new first generation 5G-capable smartphones become available. Gaming, augmented reality, virtual reality, and 4K video availability will continue to drive demand for higher network speeds, greater bandwidth, and lower latencies. Software that can figure out where to cache data or localize computation will play a key role in the efficacy of edge compute infrastructure. Watch for the impact of IT that is "Near me, on me, and in me" to take hold. Build out of Tier-IV data centers will drop off as more and more workloads are migrated to virtual machines or built from the ground up for containerization, resulting in resiliency achieved in software rather than in redundant (and expensive) physical hardware. Databases will grow in size as we continue to pour new data from new sources into them. Analytics along with AI will be needed to determine how much data to retain, what to archive, and what to erase. A temporary reduction in demand for DRAM and flash memory by consumers will be partially offset by growing demand from the data center industry. Photos and videos that might be stored on phones or laptops if larger memory was available are instead being stored in the cloud because bandwidth is so available and so cheap. Manufacturers of rotating hard drives will continue to struggle in their search for growth as the market transitions to more widespread adoption of SSDs. Hyperconverged systems will see growth from those datacenters seeking simplicity and the ability to add capacity in small chunks. On the other end of the spectrum, disaggregated systems will see wider adoption by the hyperscale data centers seeking to save costs. Sustainability achieved through flexibility will become a larger focus for data centers. The slowdown in Moore's Law will result in longer life expectations for servers, storage, networking, racks, and PDUs while the data center seeks the next breakthrough in performance and efficiency. Repurposing and reconfiguring existing infrastructure will require a high degree of flexibility. Autonomous vehicles, ride sharing, and other innovations in transportation technology will see further growth and acceptance as they are taken to new geographies around the globe. The youngest millennials and their future children may know a world where they never had to learn to drive. IoT will see further uptake in such areas as farming and fishing, as the demand for food increases along with the growth of the world's population. IoT is leading to new levels of productivity and yield per acre for farmers while helping minimize the use of pesticides and herbicides that are potentially detrimental to the environment. 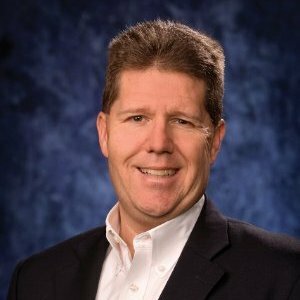 Marc Cram is Director of Sales for Server Technology (@ServerTechInc), a brand of Legrand (@Legrand). Marc is driven by a passion to deliver a positive power experience for the data center owner / operator. Marc brings engineering, production, purchasing, marketing, sales, and quality expertise from the automotive, PC, semiconductor and data center industries together to give STI customers an unequalled level of support and guidance through the journey of PDU product definition, selection, and implementation. Marc earned a BSEE from Rice University and has over 30 years of experience in the field of electronics.